Dr. Yamada is a 1989 graduate of the University of California, San Francisco. She received the prestigious fellowship award from the Academy of General Dentistry in 2012. She has dedicated her professional career to providing you with the best that dentistry has to offer. Dr. Yamada is continually educating herself and her team on the newest dental techniques and advances in order to offer you and your family state-of-the-art, comfortable, personalized and antiseptic dental care. Dr. Yamada is able to share her commitment to education and humanitarian service with future dentists through the UCSD Student-Run Free Dental Clinic where she serves as an Associate Clinical Professor through the department of family medicine at UCSD. She also travels around the globe, through Smiles for Hope, where she and her team have trained local dentists and provided care to underserved areas of Mexico, Dominican Republic, Haiti, Guatemala, Bolivia, Peru, and Nepal. Annually, her office participates in the Smiles For Life campaign, where all proceeds from teeth whitening are donated to children's charities. 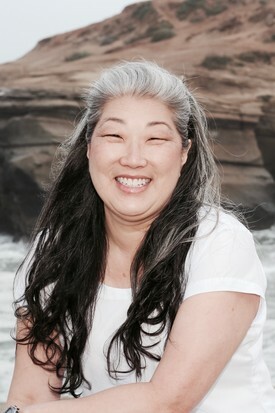 Dr. Yamada's professional memberships include the San Diego County Dental Society, California Dental Association, American Dental Association, Academy of General Dentistry, American Association of Cosmetic Dentists, the International Congress of Oral Implantologists, American Academy of Craniofacial Pain, the Crown Council, the American Association of Women Dentists and the San Diego Association of Women Dentists, where she served as the President. Dr. Yamada has special training in Ozone Dentistry, Laser Dentistry, Cosmetic Dentistry and TMJ (Jaw Pain and Headache) disorders. On a personal note, Dr. Yamada has served on the board of directors for the Ocean Beach Town Council, Peninsula YMCA and Ocean Beach Merchants Association. Her office participates in the annual O.B. Tree Festival Parade and O.B. Street Fair Fireworks Festival and Chili Cook-off. They have also hosted and supported a variety of other charitable fund-raisers and auctions for the local citizenry. Born in Southern Ontario, Canada and raised between Toronto, Honolulu and San Diego, nothing quite prepared Kenn for the rigors of living in San Francisco upon graduation from the University of California (San Francisco) in 1998. After six enjoyable years of working in the Bay Area, he decided to move back to America's Finest City in order to be closer to his family and to warm weather and toll-free bridges. A part-time yoga instructor, Kenn spends his time driving his classic Mustang, researching future travel destinations, and spending time with his cats. He and his partner also enjoy traveling as far as a cheap ticket will allow. He has been in the dental field for almost 25 years and over half of that time has been with Dr. Yamada. 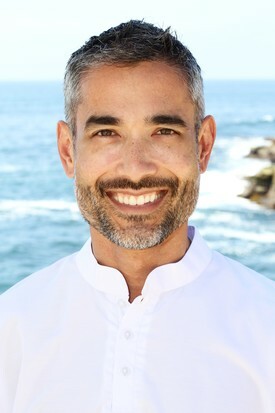 Because healthy gums are the cornerstone of a strong bite and healthy smile, Kenn loves focusing his energy on the periodontal aspect of dentistry, reminding patients healthier gums really can make for a healthier life. One thing that makes Ocean Dental Care superb in Kenn’s eyes is its location in the friendly neighborhood of Ocean Beach. What makes this practice truly special to him, however, are the staff and their ongoing commitment to compassionate patient care and open patient communication.